On this episode of Watching the Hawks, Tyrel Ventura and Tabetha Wallace uncover the Pentagon’s truth twisting statements on using depleted uranium against ISIS in Syria. Then, RT’s Simone Del Rosario brings us a live update from the infrastructure crisis at the Oroville Dam in California. 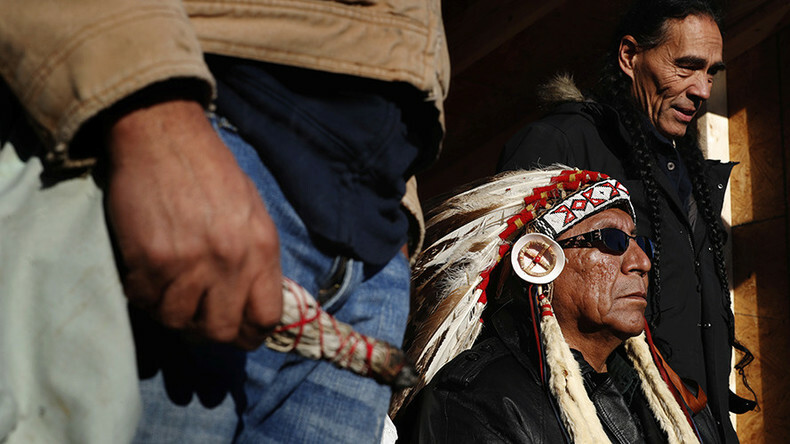 Next, Harold C. Frazier, the head South Dakota’s Department of Tribal Relations and Cheyenne River Sioux Tribal chairman, along with Royal Yellow Hawk, Councilman for the Rosebud Sioux tribe, enter the Hawks Nest to discuss the future of the #NoDAPL protests. Finally, Bigfoot could become the cryptid for the state of Washington.